Coming at perhaps the worst possible time for grocers, massive amounts of ground beef are being pulled from the supply chain due to foodborne illness concerns, a move that's sure to cause frustration for consumers and headaches for supermarkets as well as butchers. Control and Prevention. It's estimated that salmonella leads to more than 1 million sicknesses in the U.S alone each year and 23,000 hospitalizations. "At least 246 cases of salmonella poisoning have been reported in more than two dozen states." This latest recall is an expansion of one that began in October, when health officials were apprised of an uptick in foodborne illness manifestations among many Americans, much of which were in the southwest. An ensuing investigation determined that the source of the issue was JBS Tolleson, Inc., one of the country's major beef, pork, and lamb product suppliers that's headquartered in Arizona. Since the inquiry began up to the present day, at least 246 cases of salmonella poisoning have been reported in more than two dozen states, according to CBS News. They're all believed to be linked to the same supplier. 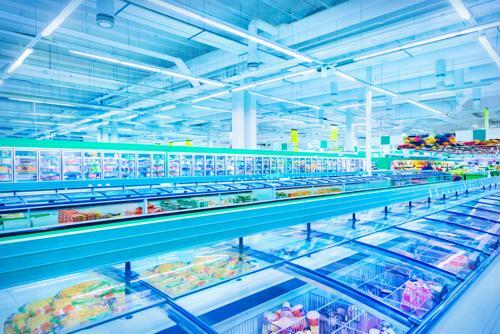 "[FSIS] is concerned that some product may be frozen and in consumers' freezers," the USDA warned in a statement at its website. "These products should be thrown away or returned to the place of purchase." The latest recall comes on the heels of a separate, but similarly wide-reaching recall that also occurred at an inopportune time - right around Thanksgiving - only due to E.Coli concerns. The CDC and Federal Drug Administration urged all Americans to throw out romaine lettuce - even if they had eaten from romaine lettuce heads without experiencing any symptoms of the food-borne illness. A week after the recall was announced, health officials traced the origin of the strain to California's central coast. Bill Marler, a Seattle-based food safety attorney, told USA Today that the beef recall is one of the biggest in history, but noted that, overall, they aren't as prevalent as they used to be. "Recalls have been down substantially in the last several years," Marler explained. He further pointed out that the USDA likely decided to expand the October recall after evaluating some of the recordkeeping particulars at the JBS Tolleson plant in Arizona. He also speculated that the order could be due to internal testing done to examine any sanitation issues. "That's what usually prompts the recall to get bigger," Marler said. Although there's no such thing as a good time for a food recall - neither from grocers' perspective, nor that of American families preparing for holiday feast festivities - it could be worse. In 2008, for example, supply chain optimization among grocers took a major hit after 143 million pounds of ground beef was recalled by Westland/Hallmark Meat, USA Today referenced. It's believed to be the largest meat recall in U.S. history, which was sparked as a result of meat products potentially containing mad cow disease. The USDA said that as soon as it obtains the information, it will post the retail distribution list at its website, detailing what stores carry the ground beef products under recall orders.